When I received this table I was overwhelmingly satisfied. The table set off my dining room area and the chairs that I already owned worked so well together. It is well built and the assembly was easy. 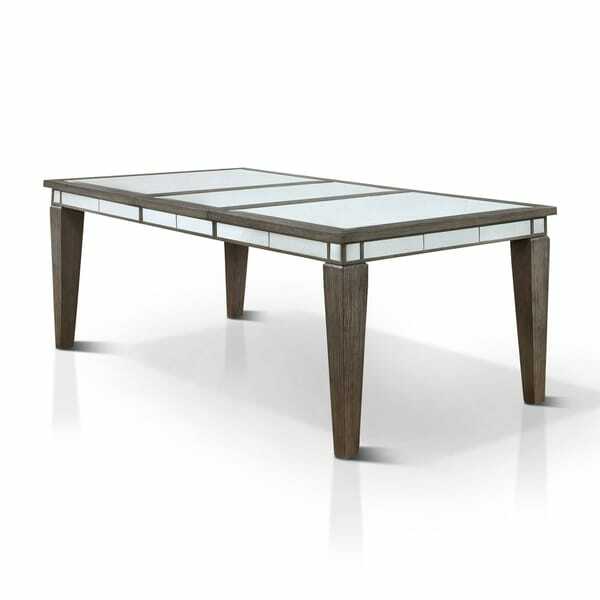 Glistening in any light, the Galleri Dining Table delivers a truly glamorous aesthetic with mirrored accents that create a chic multi-tone aesthetic. Its Dark Grey finish adds soothing detail and highlights the mirrored inserts brilliantly. Expendable leaf ensures spacious room for everyone at the table, accommodating up to six. With sturdy tapered legs and a solid wood construction, the Galleri Dining Table brings a polished touch that redefines glamour. "Is the top of the table mirrored glass?" The glass for this item is mirrored.